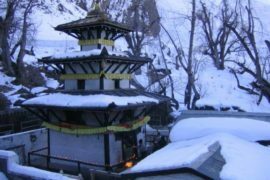 Helicopter Tour to Muktinath Temple is the best and the easiest way to travel Muktinath for those persons who don’t have sufficient time during their visit. 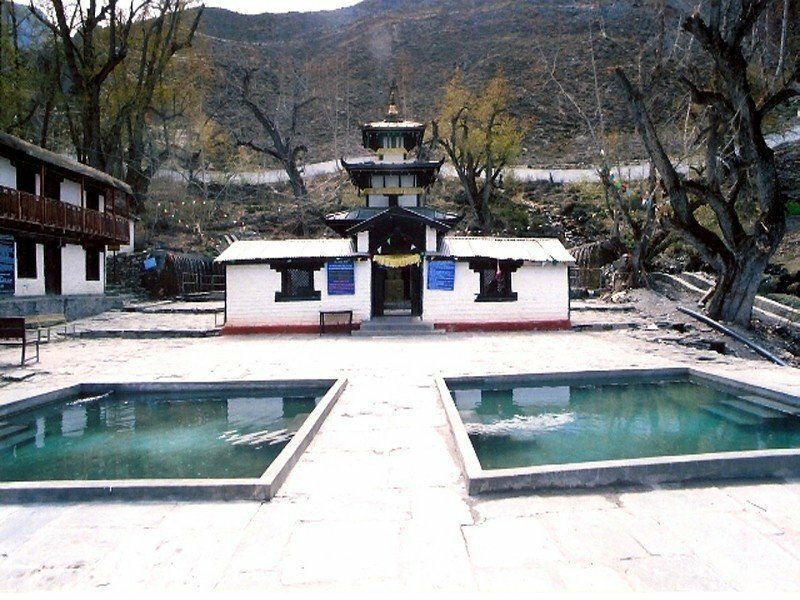 Helicopter Tour to Muktinath Temple takes you to the Muktinath in a short period of time. 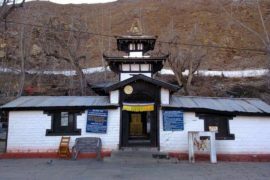 From the helicopter, you can capture the stunning view of different mountains as well as the Kathmandu valley and Muktinath area. This tour will be one of the memorable parts of your life. 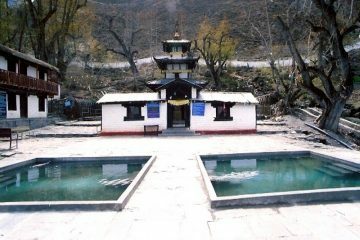 The best seasons for Helicopter Tour to Muktinath Temple are all over the year besides the rainy season. 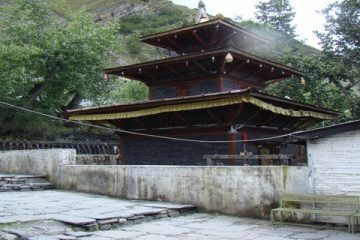 Helicopter Tour to Muktinath Temple starts from Kathmandu airport. 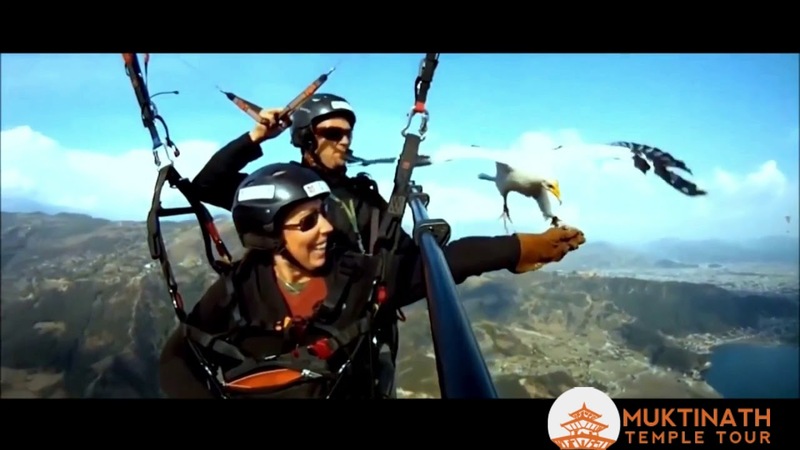 You will fly by helicopter from Kathmandu International Airport showing the view of Langtang Region, Mt. Annapurna, Fishtail Mountain, and Pokhara valley as well as Phewa Lake. 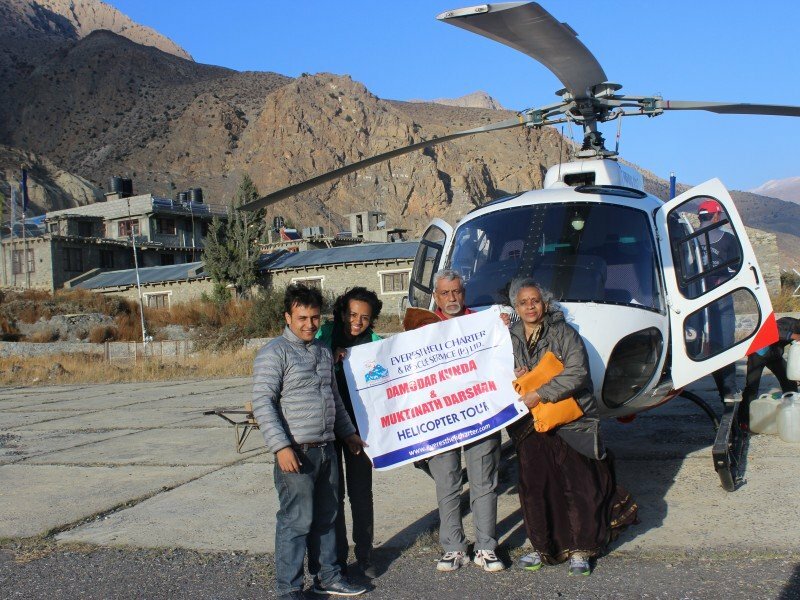 The helicopter will land at Jomsom Airport for a refuel then continue the flight to Muktinath where you will visit Muktinath Temple, perform Puja, Hawan, take bath in 108 stone water taps and you can view amazing views of Annapurna range. 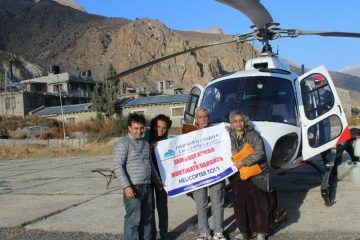 Fly back to Kathmandu from Muktinath. This is best for old aged people and others who don’t fit into treks or travelers with limited time. Medical evacuations, riots, strikes, etc. any tips to drivers, hotel staff, any meals apart from the ones mentioned above. Pick up from Kathmandu Tribhuvan International Airport. Proceed to Check-In at the hotel. Visit Pashupatinath Temple. If you arrive late you can visit these temples the next day early morning. 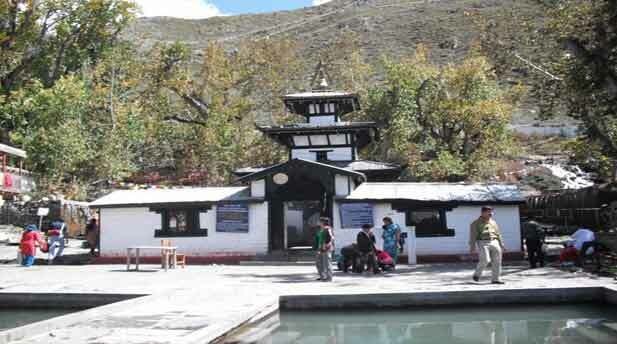 Attraction: Explore Muktinath Temple. 108 taps, Kunda, Jwala Mai Temple, Gomba Samba, Swaminarayan, Shaligram along with beautiful Natural View. Upon arrival in Kathmandu at the International Airport better known as “Tribhuvan International Airport”. After collecting your baggage there are Two Telephone companies known as “Ncell & NTC ( Nepal Telecommunication). They have a Stall each. One Passport size photo and a copy of the passport will be required then you can purchase a Sim. Activation time is 10 mins on an average. Cost is INR 150 per Sim which can be topped off as per requirement. It will be 4G card We are not in a position to take out the Sim in advance. The above is subject to change as per the Telecommunication Regulations. You can buy 4G sim anywhere in the major cities of Nepal with the proper documents.